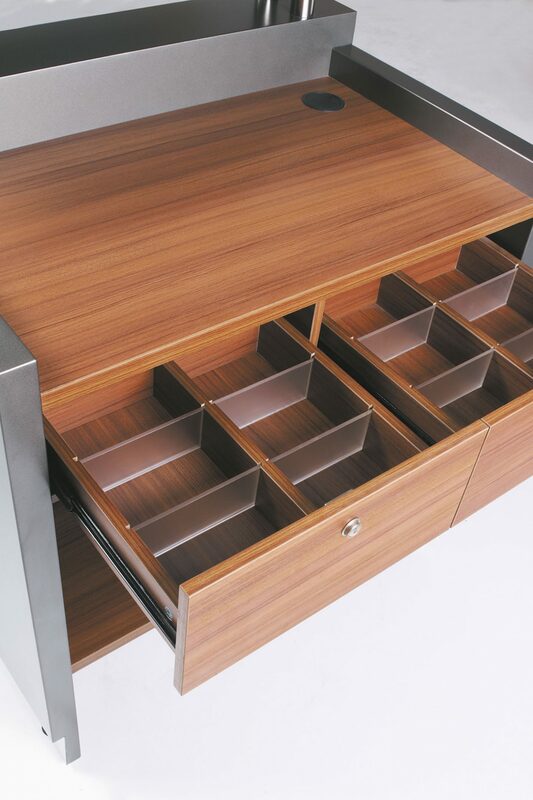 Elegant and versatile. 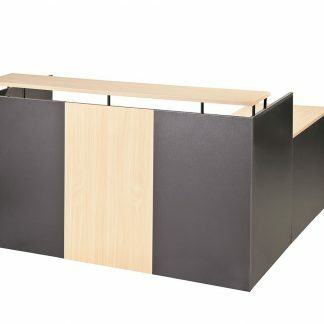 Ideal for retailers. 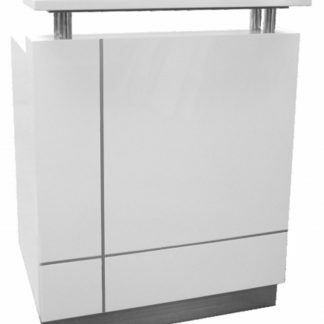 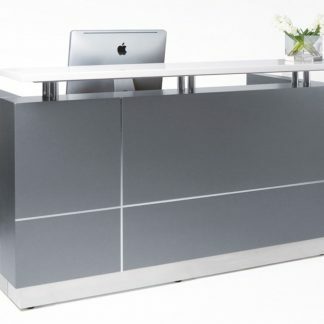 Counter body in metallic grey with feature aluminium strips. 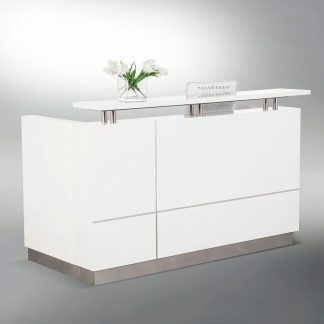 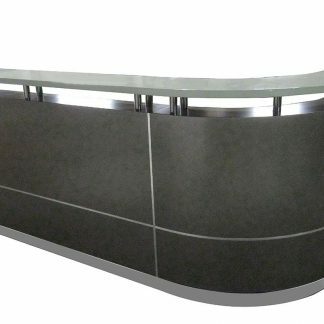 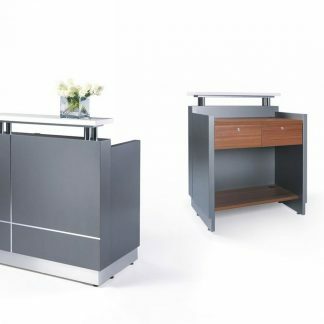 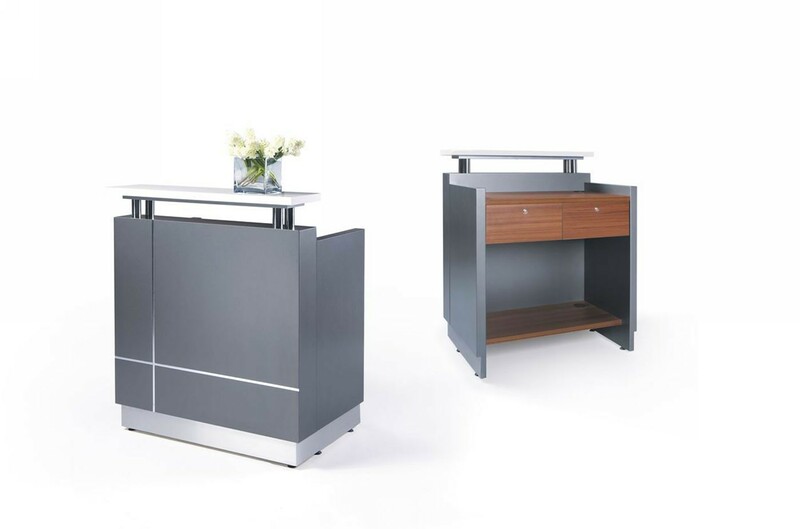 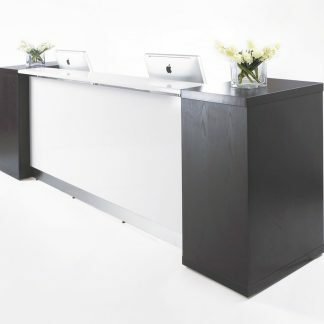 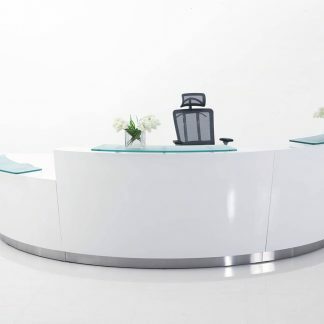 The “Receptionist” is an inexpensive way to have a stylish reception counter.